I will evaluate this average in order to see if the order of magnitude is the right one with respect to the computations carried out by Kisslinger and Johnson. But the fact that this average is indeed not equal zero is a proof of existence of the gluon condensate directly from Yang-Mills equations. A lot of devices today are conceived to work with a 2D electron gas (2DEG). A typical and widespread application is a MOSFET where this gas makes a conducting channel with a neutralizing background of positive ions. A 2DEG is an essential part of any nanoscale device (see my preceding post) and we know that a lot of unexpected effects are seen when the temperature is lowered to few nK°, so very near absolute zero, where a fully quantum behavior should set in but something weird generally happens. To understand these quite strange behaviors becomes mandatory to have an idea about what happens to a 2DEG changing its temperature. So, there are a lot of studies about. One of these lines of research relies on Montecarlo computations with a fixed number of electrons and taking a proper interaction between them. This people can then obtain a phase diagram of 2DEG and these findings are really interesting. A phase diagram of the 2DEG has a Wigner crystal phase at lower densities while , at higher densities the gas, in its ground state, behaves paramagnetically. This paramagnetic phase is unstable, lowering the density, and the gas enters a ferromagnetic phase! This is quite interesting as ferromagnetic states can produce such excitations as magnons that can make quantum behavior to lose its coherence. I have discussed this here (published on PRB) and here. For supporting these papers I have found a beautiful work of Giovanni Bachelet and his group here (published on PRL) where evidence is found for a ferromagnetic phase. Currently, Giovanni Bachelet has been elected at Italian Parliament for Partito Democratico (Democratic Party). You can find some biographical notes about him (in Italian) here. The open question about these phases is to know how stable they are. A recent paper on PRL by Drummond and Needs, using the aforementioned Montecarlo methods, try to answer this question (see here). The main conclusion they arrive is that the ferromagnetic phase does not appear to be stable while they do not find evidence for more exotic phases even if they cannot rule them out. Of course, they confirm all the preceding findings about the very existence of the known phases of 2DEG we mentioned that since now are all well acquired. Some experimental hint exists for the ferromagnetic phase (see here) but this is not conclusive evidence. This kind of research is really exciting being at the foundations of our understanding of behavior of matter in exotical physical situations. In the near future we will see how the complete picture will appear. 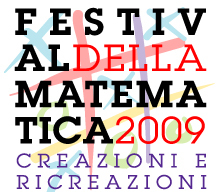 Today I have been at Festival della Matematica 2009 here in Rome to listen at a discussion with Arno Penzias and Nicola Cabibbo. The moderator was Riccardo Chiaberge, a journalist of the italian newspaper Il Sole 24 Ore. Chiaberge wrote a book with an interview to George Coyne and Arno Penzias (in Italian, see here). Cabibbo is currently the President of the Pontificia Accademia delle Scienze and is a believer. This evening he took the role Coyne had in the book in a confrontation between scientists with different beliefs. Asked by Chiaberge if the Pope listens Accademia, Cabibbo said “Sometime.” and cited the case of cerebral death. Penzias has been put by Chiaberge on the Einstein side, a “non-believer deeply religious”. But what Penzias said has been sometime astonishing revealing a kind of faith elevating humankind well above its nature. Of course, themes like string theory and multiverse were also touched upon in the discussion. Cabibbo said that we should give time to the theory to develop before to conclude anything about, being now too early to draw any conclusion. Stringists will say but surely “mathematics is truly beautiful”. When he said so I thought to Perelman that, copying a functional from string theory, achieved one of the greatest goals of modern mathematics. Penzias is more skeptical about and does not think it should be considered science yet and, on the same line, multiverse is not falsifiable and so to be dismissed. Cabibbo said “till now!” letting us think that the future will deserve some surprise about as always happened in matters like these. This point was quite entertaining as Cabibbo defended multiverse as the most elegant idea to explain the foundations of quantum mechanics but, as Chiaberge emphasized, this is an escape for atheist to claim the non-existence of God. On the other side, Penzias said that our current understanding of Universe and all this nice fine tuning of its constants appears a serious support for believers. Galileo, Copernico and Kepler were discussed and the Galileo question, with his trial and abjure, was declared by Cabibbo as a severe error by the Catholic Church that cost too much to Italian science. He said that “Bellarmino, notwithstanding was a fine cultured man, failed to recognize that these were completely new matters” and should have been carefully treated. About the question of intelligent design and Darwinism, Penzias put forward a nice metaphor. He remembered the last scene of The Wizard of Oz where a dog moves a curtain unveiling the wizard pushing around buttons all the time and this appears to be the god of intelligent design. On the other side, human beings are really cousins of chimpanzees but there is something more, that kind of inexplicable that makes us believe that something like love and free will are real as the rest of our physical world. Cabibbo added that the idea of evolution should enter into the certainties accepted by the Catholic Church as the Copernican system and all that. Evolution is an assessed fact but still some embarrassment is seen from clerics, the same that happens when one talks about the possibility of intelligent life in other solar systems. Giordano Bruno has not been fully digested by Catholic Church yet. Cabibbo also put forward a nice analogy between phase transitions and the appearance of intelligence in human beings that completely overwhelmed previous animal species, a threshold effect. Chiaberge gave a nice summary of the discussion by saying:”Science has limits but no authority should impose limits on it”. All agreed about this but Penzias remembered horrors of some experiments and Cabibbo emphasized that for medicine some kind of limits should be eventually considered or, better, self-imposed. Tomorrow I will be there to listen Edward Witten. Stay tuned! After a very interesting analysis about classical solutions of Yang-Mills equations, in this blog and elsewhere in the web, and having recognized that a paper of mine was in great need for corrections (see here) I have finally done it. I have replaced the paper on arxiv a few moments ago (see here). I do not know if it is immediately available or you have to wait for tomorrow morning. In any case, the only new result added, with respect to material already discussed in this blog, is the first order correction to the propagator of the massless scalar theory. This goes like making all the argument consistent. This asymptotic series should be modified as the limit becomes more and more difficult to be applied and this should be in a kind of intermediate region that, presently, I have no technique to manage. This is matter for future work. The perspective is the ability to recover the solution of a scalar field theory for all energy range. You are currently browsing the The Gauge Connection blog archives for March, 2009.